The charismatic American came to Jamaica from Florida in 1969 in search of a new adventure. Born Ross W. Heilman, he created the Ross Kananga persona for himself, even claiming part Seminole heritage. With the help of Jim Gore and Stafford Lue, his new Jamaican friends, he set out to establish a Crocodile Farm in virgin mangrove territory in Falmouth, Trelawny. By late 1970 the Jamaica Swamp Safari was born and was home to hundreds of the American Crocodile, 3 American Alligators, a pair of Black Leopards, a Python, a pair of Lion and a Chimpanzee. The croc farm quickly became an attraction for locals and visitors alike who came to take in the daily shows that featured Ross wrestling the crocodiles and alligators, and playing with the leopards and lions. In 1972, while searching for a suitable location, scouts for the James Bond film ‘Live and Let Die’ stumbled across the crocodile farm. Intrigued by a sign that read “Trespassers Will Be Eaten”, they stopped to check out the place and after meeting Kananga quickly decided to have the farm double as the fictional San Monique. Shooting began in November 1973 and it was in fact Ross Kananga who suggested the now famous croc-jumping escape to the producers. The directors engaged Ross to perform the dangerous stunt, which took five takes to complete and saw him suffering a number of injuries. Although it is said that movie execs considered Ross a bit eccentric, they so loved him that they even named the movie villain’s alter-ego after him. Kananga later worked as a stuntman in the 1973 movie ‘Papillon’, also shot on location at the Safari starring Steve McQueen and Dustin Hoffman. Ross returned to South Florida in 1976 where he lived and trained wild animals at the Seminole Village on Stirling Road in Broward County. There are various news reports of him being attacked by his male leopard Satan, and how he was saved by 19-year old Brenda Surles, who was forced to shoot the animal on Kananga’s orders. Tragedy struck in 1978, when at the age of 32, Ross Kananga died of cardiac arrest while spear fishing in the Everglades. Svensexa i James Bond Museet. Testa 5-kampen. 5-kamp (Softairgun, Flipperspel, Black Jack, Roulette, frågesport PC). Övrigt: Mat och dricka på offert. Alla dagar 18.00-21.00 även dagtid 13.00-18.00. I småländska Nybro finns en man vars fullständiga namn sedan 2007 (dvs 2 007) är Gunnar Bond James Schäfer. Gunnar har sedan barndomen varit James Bond-fantast och har skapat ett museum med sin samling James Bond-prylar. Gunnar har av naturliga skäl ingen Ericsson JB888 men väl T68 som Jinx använde i Die Another Day. 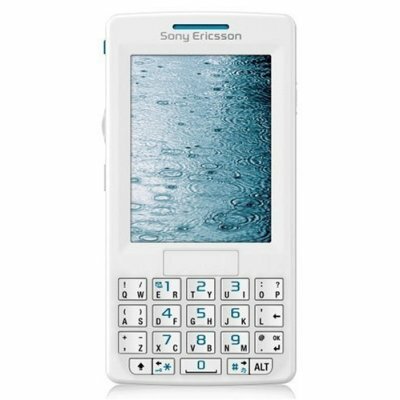 Det finns också en imponerande samling med Sony Ericsson telefoner som t.ex. C902 från Quantum of solace och Gunnars stolthet, den vita M600 som Vesper har i filmen Casino Royal. Bond, Gunnar James Bond Schäfer tore that textbook in half, threw one part out the window and kept the other, because you need money to make your dreams a reality. Bond, Gunnar Bond was born in a small beautiful seaside town of Västervik in Sweden in 1957 to Inga Charlotta and Johannes Schäfer. His father was a German soldier that moved to Sweden shortly after the end of World War 2, Gunnar is youngest of three, Bertil (1951) and Heinz (1955). Next week we are taking the wings away from Bond plane Cessna 172.